Translations for Enigma 2: Please post them here! Are the language names part of the OE-core? For instance I never saw a string for "Modern Greek (1453-)" inside the pot files, what has to be done in order for these to be included? I try adding this line manually every time, but it's not the right way to do it as with every update it gets overwritten as expected. Edited by MCelliotG, 25 March 2019 - 13:52. As in the language selection screen you mean? Yes, some language name strings are translated as part of the pot, others not. For Greek there is simply "Greek" and "Modern Greek" but it does not match the language description, so you see the name of your own language in the menu in English while everything else is in Greek, which is at least peculiar. If the tab cannot be used to generate strings for the pot, could we at least find a workaround, such as mapping the Modern Greek (1453-) to just "Greek" so it solves everything? In the language screen (the one of with flags), the language is (or should be) always written in the local language, and should not be translated, so it should say "Ελληνικά" (if I can believe Google ) next to the greek flag. Where exactly do you see "Modern Greek (1453-)"? Can you do a screenshot? All Greek language descriptions in Enigma2 are named Modern Greek (1453-), thus not translated. and here's one with subtitle description, both from OpenPLI 7.0. Now, if none of these can be fetched in the pot, at least could be mapped to simply "Greek", so they'll be translated normally. You can see other languages that are simply described with their original name are translated because the strings are included in the pot. Edited by MCelliotG, 26 March 2019 - 02:54. Ok, so it's not the language screen as I thought, but the audio language screen. Yes, those are read directly from the ISO639 file (here: https://github.com/O...lection.py#L124) and translated if possible. I think because the translation is dynamic, the strings aren't picked up when the mo is generated, so they aren't offered up for translation. So, not any chance for this string to be translated? The process to create the .pot file (the index to later on update the .po files) is looking into the .py and into the .xml file for translatable strings, collect them all to generate the .pot file. From what I understand the py that WanWizard point to is loading a standard python library. So those are not part of the Enigma2 translation process. But I think that the if the other strings are translated if it is probably because the same term is already used somewhere else, so the translation is already included into the .pot/.po files and so they are translated. So I guess that nowhere else the term: Modern Greek (1453-) is used in OpenPLi, so this one is not translated. You should not add extra strings into the translation you submit because they will always be overwritten during the po files update process. Those extra strings are deleted since not found in the source. Certainly adding extra strings is not the best policy exactly because they are constantly overwritten. On the other hand leaving parts of the operating system untranslated is not a good look. 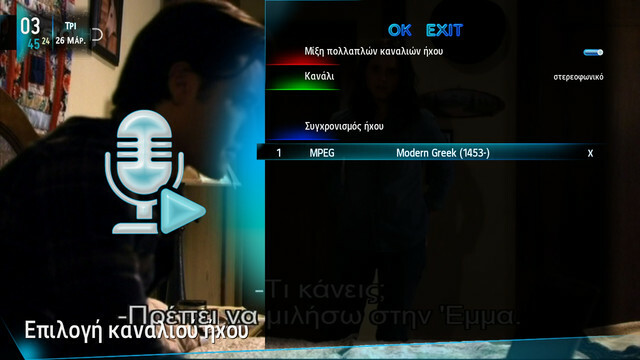 In our case we have a fully translated screen with the Greek subtitle and language description untranslated. Same goes with timezones but this is something that the user will only see once during the setup process. Anyway, I really hope a way will be found for these external parts to become translatable in order to complete the user experience l! Add a dummy.py somewhere in enigma2. Next time po will not overwritten, because dummy.py is part of enigma2. Edited by vexil, 28 March 2019 - 07:04. 7.1-release is in preparation. If translations need to be updated, please do so in develop before the release.